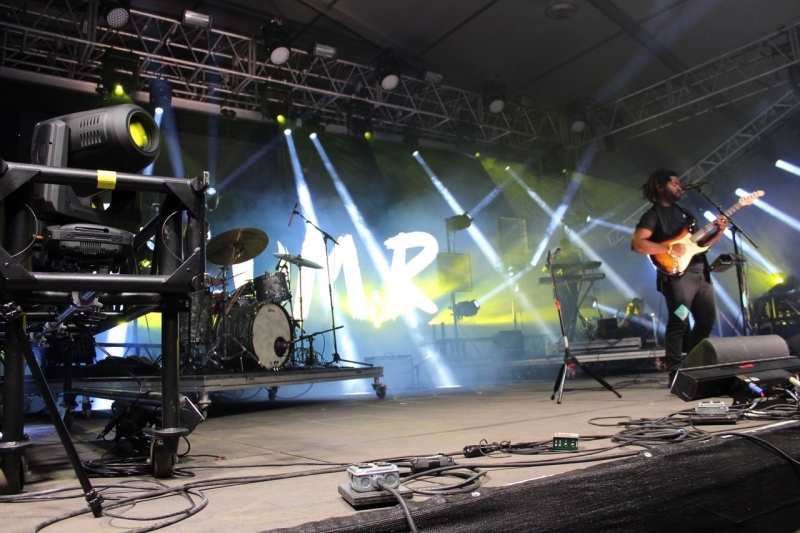 A definite R&B star on the rise, R.LUM.R, who Rolling Stone recently dubbed "An artist you need to know," played That Tent at this year’s Bonnaroo Music & Arts Festival in Manchester, Tennessee, beneath an Elation lighting rig supplied by Genetic Productions. Most known for his breakout 2016 single, "Frustrated," the former classical guitarist is a multi-talented artist whose debut EP “Afterimage” showcases his passionate vocals and insightful lyrics. 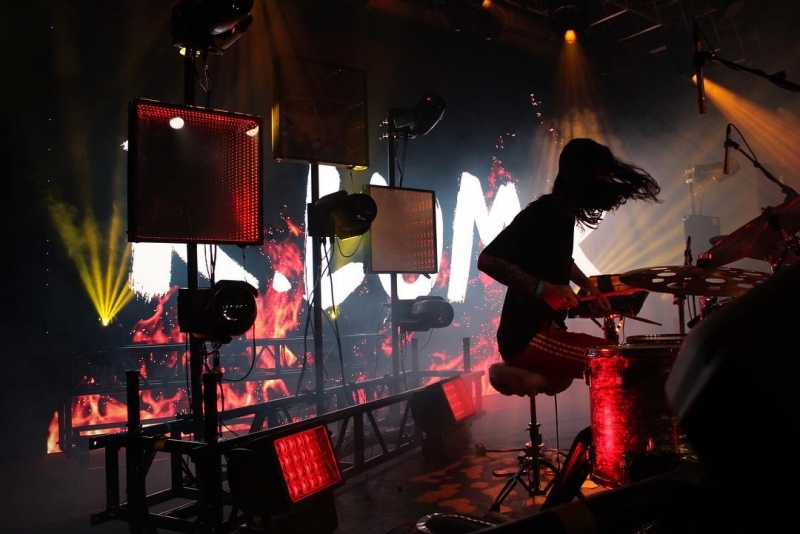 GENETIC Productions served as the design firm, crew provider, and gear provider for R.LUM.R's Bonnaroo performance, a setup that included Elation Artiste DaVinci™ and DARTZ 360™ moving heads along with IP65-rated Paladin™ hybrid lights and ACL Curtain™ battens. 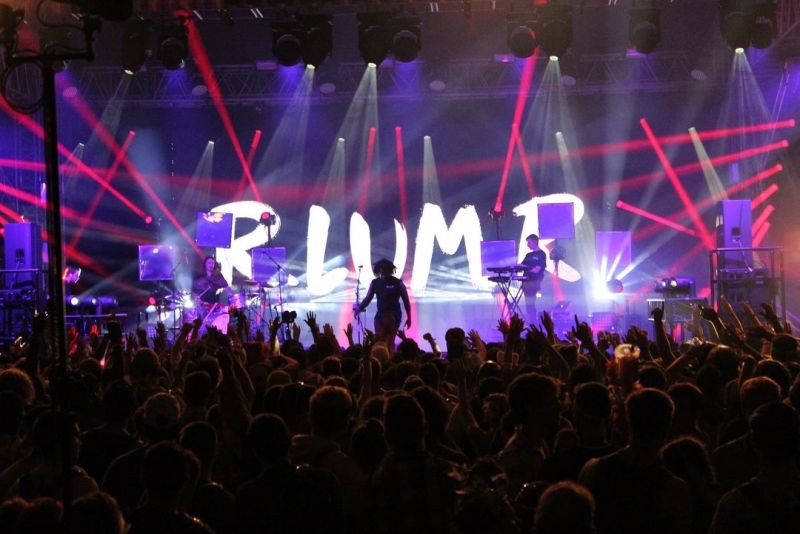 GENETIC has been working with R.LUM.R for about 4 months now and Bonnaroo was their first live performance with him. 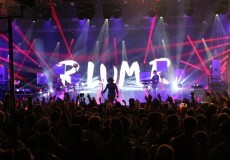 “We worked with R.LUM.R and his management team to integrate a new design that utilized custom-built infinity mirrors from R.LUM.R's previous shows,” said GENETIC President Andrew Sparks, adding that the week prior to Bonnaroo, they tech'd the show and held rehearsals so that everyone got a solid feel for the additions prior to show day. One of Coren’s favorite looks using the DARTZ was when he pointed them at the crowd with all the prisms in with a star gobo. He comments, “They punched through so many of the fixtures that were on that stage around it and created this really nice airy look.” GENETIC President Andrew Sparks added, “They are an awesome compact beam fixture with a low power draw that can find themselves on everything from high-end social events, corporate events, touring VIP programs, and even the main stage. We have been renting them from a trusted rental partner and have had great success with them.” Sparks also shared his plan to add the DARTZ to their inventory for R.LUM.R's fall shows. Used for side light and a bit of aerial effects on the show were Artiste DaVinci LED moving heads, Elation’s energy-efficient CMY and graphics spot with 300W LED engine, motorized zoom and 13,000 lumens of power. “At GENETIC, we do a wide range of events so we needed a fixture that could hold its own in all of those areas, as well as not break the bank,” states GENETIC President Sparks, who cites versatility and brightness as reasons for deciding to invest in the Artiste DaVinci. 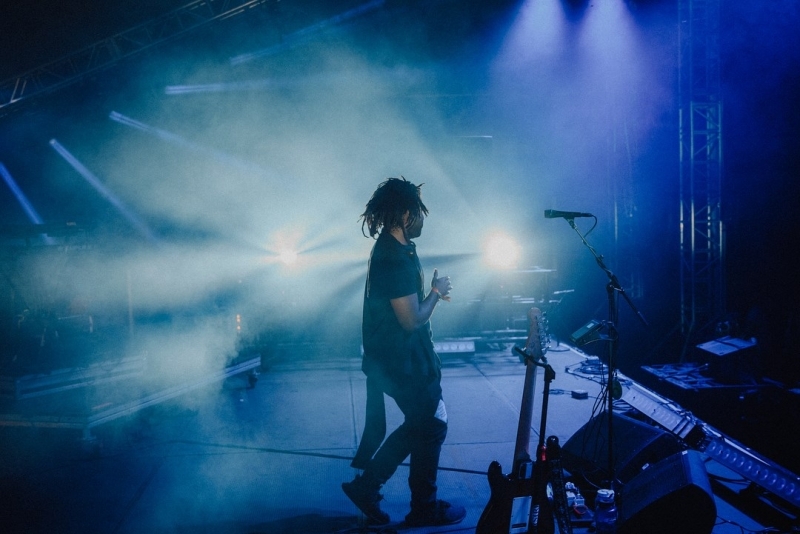 The likewise versatile ACL Curtain RGBW battens were used on the R.LUM.R performance for foot light from the front and the side while Paladin strobe/blinder/wash lights sat on the drum and keyboard risers and acted as a strobe and back light. GENETIC’s first live performance with R.LUM.R was a great success with Sparks praising both the artist and team behind him. “R.LUM.R and his management have been awesome to work with. They are quick to make decisions and get us the necessary answers to make our job easier. 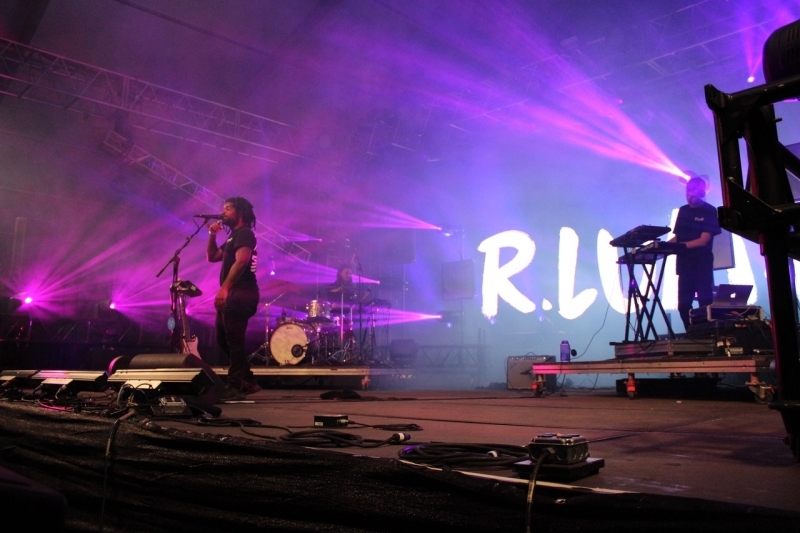 We couldn't be happier for R.LUM.R, going from Bonnaroo attendee to Bonnaroo performer in just two years! He is a true artist,” Sparks concludes. The data, documents, files and information included in this web site are provided for information purposes only. Although the contents of this site are most carefully treated, neither Audio Effetti Srl, nor its content providers or partners can be held responsible for possible errors or gaps in the contents of this site nor for direct or indirect damages, be it consequential or of any other kind, that might be in any way related to the use of this website or its features. The contents are subject to update or improvement without prior notice and without a pre-established frequency. Audio Effetti Srl takes no responsibility for the contents of other sites the user might access through links included in this website. External links are only provided for practical purposes, and this should in no way be considered as approval of the contents of such websites or warranty of their update or accuracy.